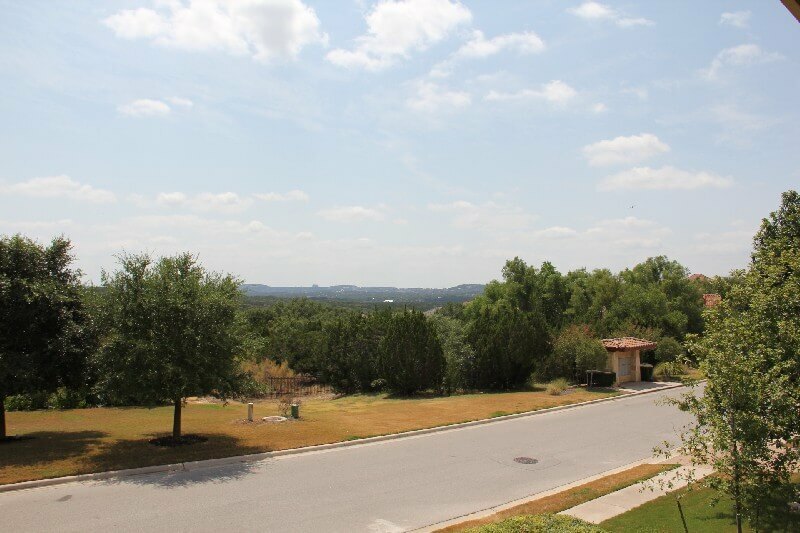 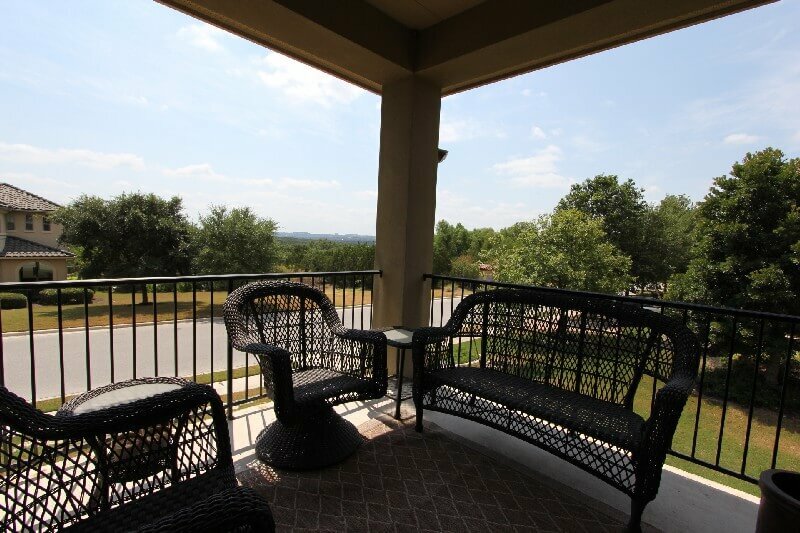 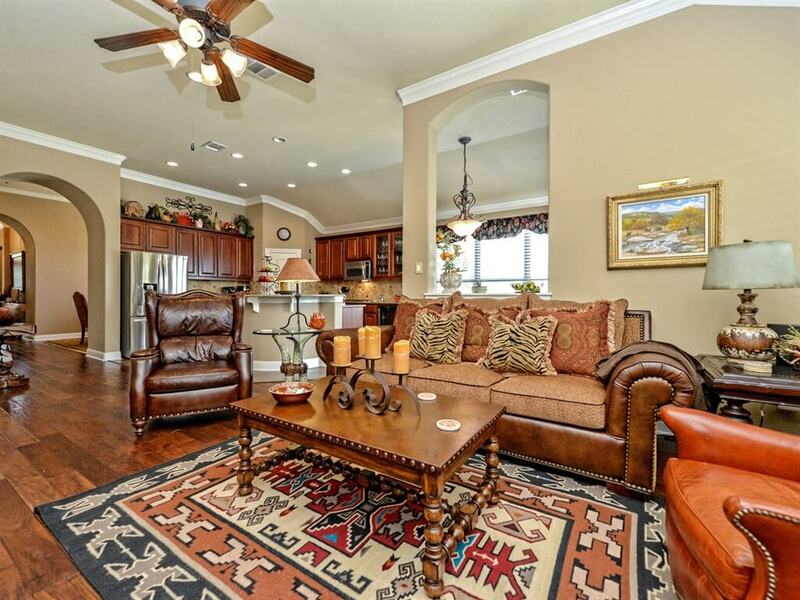 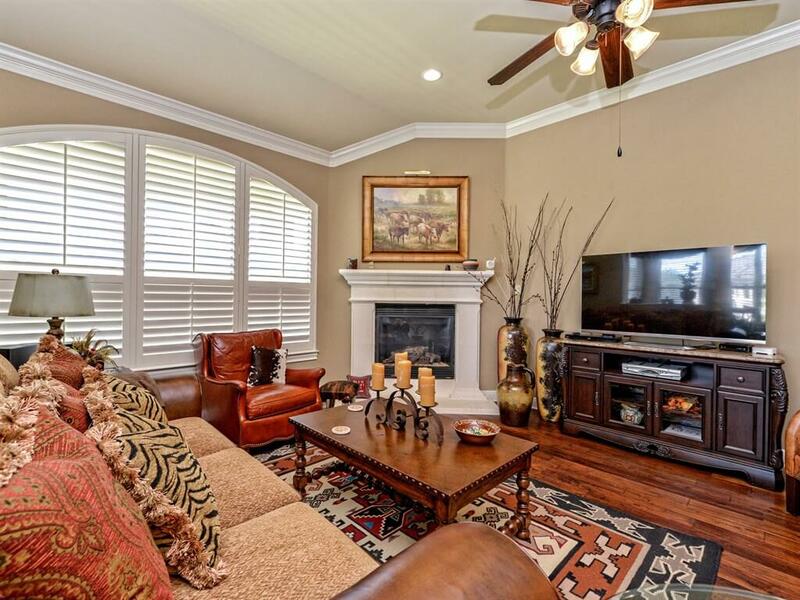 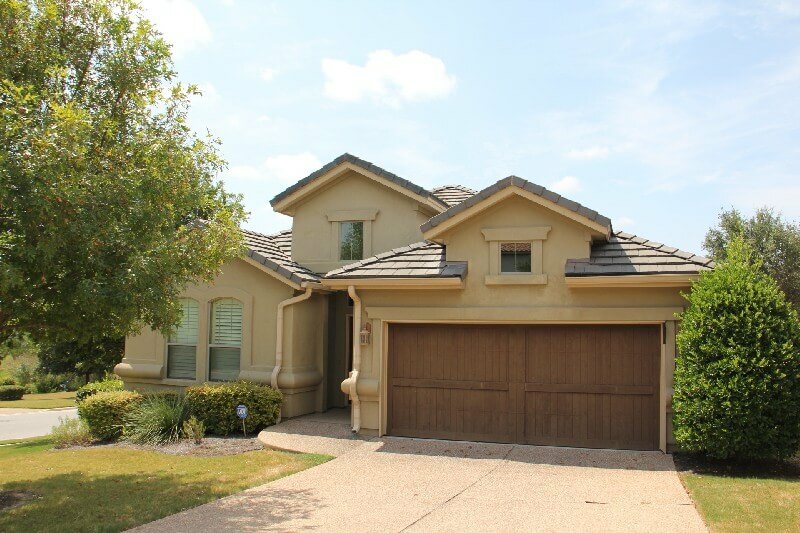 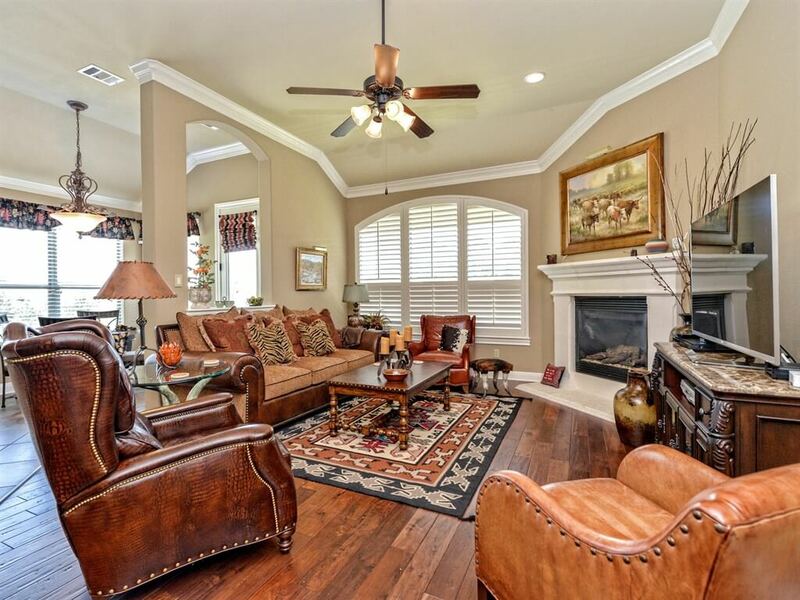 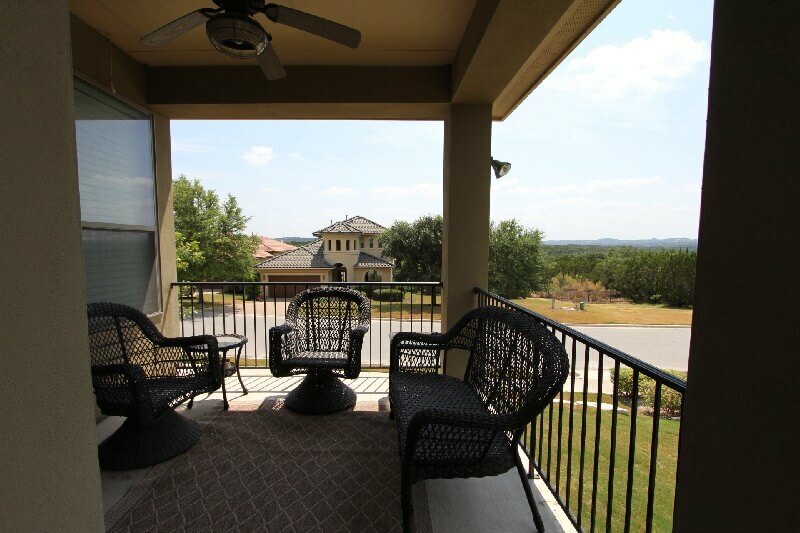 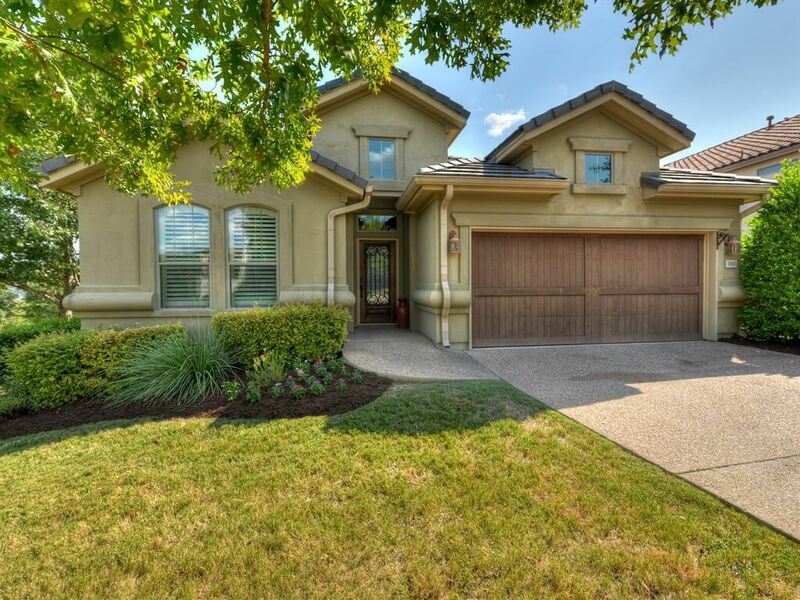 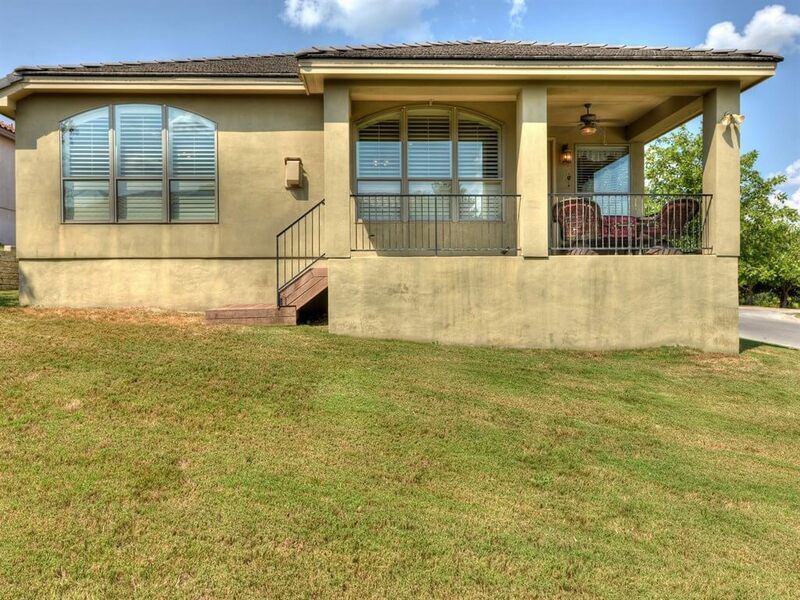 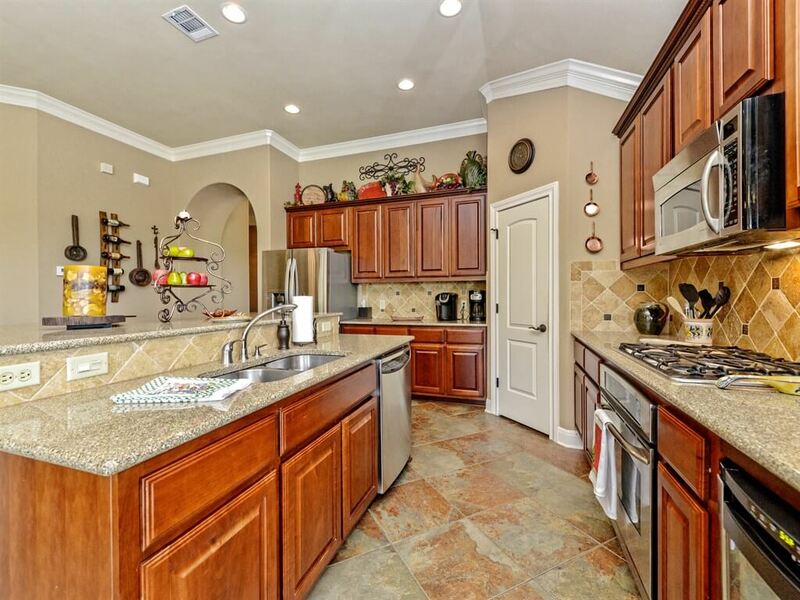 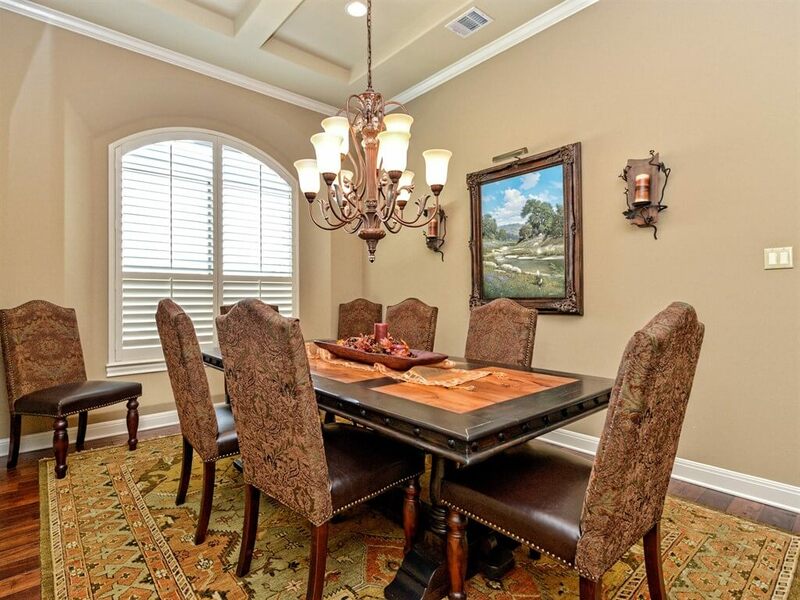 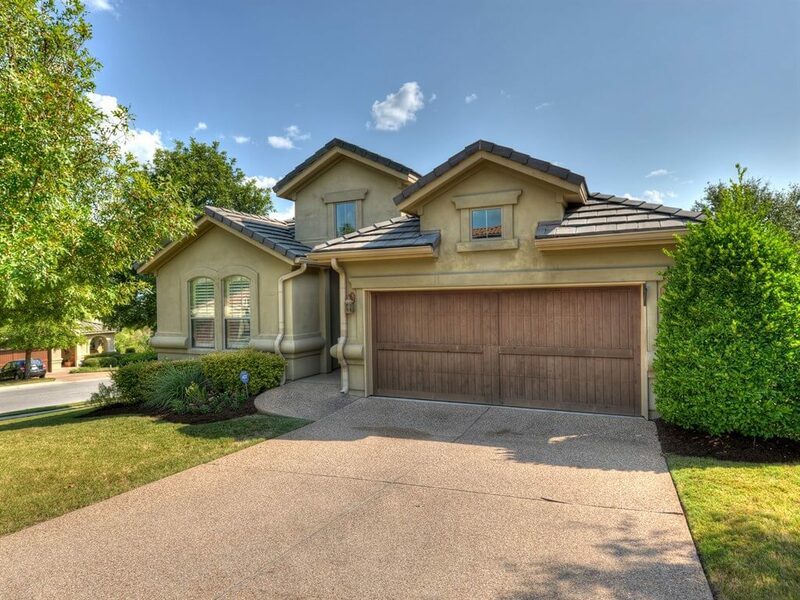 We have a new listing in the UT Golf Club at Steiner Ranch at 11801 Woodland Hills Trl. 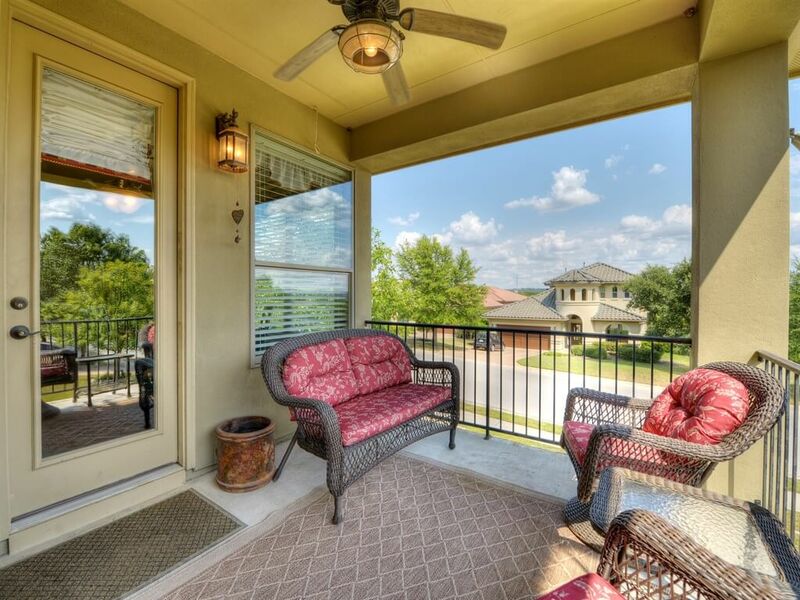 This single-story home features exceptional upgrades including hardwood flooring, exquisite architectural features and a gorgeous view of the surrounding hill country from the extended covered patio. 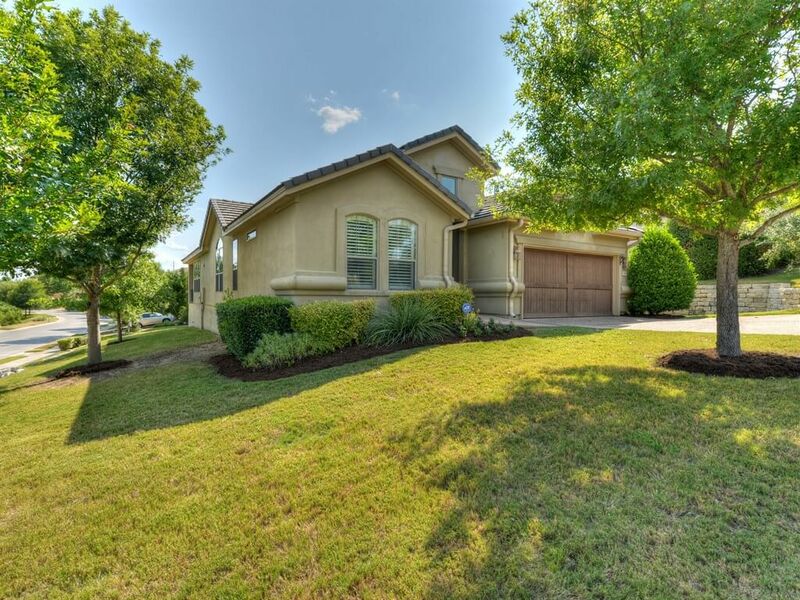 This home features 2134 sqft (per TCAD), 3 bedrooms, 2 full bathrooms, a 2-car garage with an upgraded garage door, a formal dining room, a sitting room, a breakfast room and simply gorgeous inside! 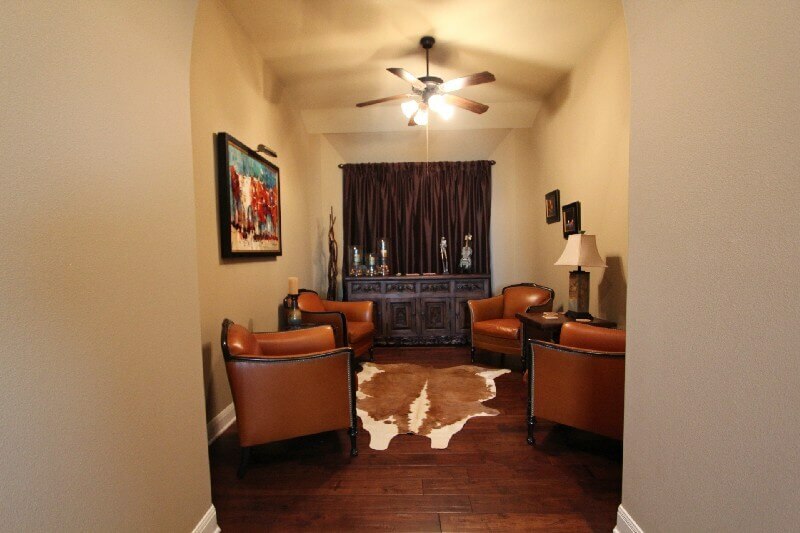 Upon opening the wrought-iron entry door, you are immediately greeted by this home’s natural elegance. 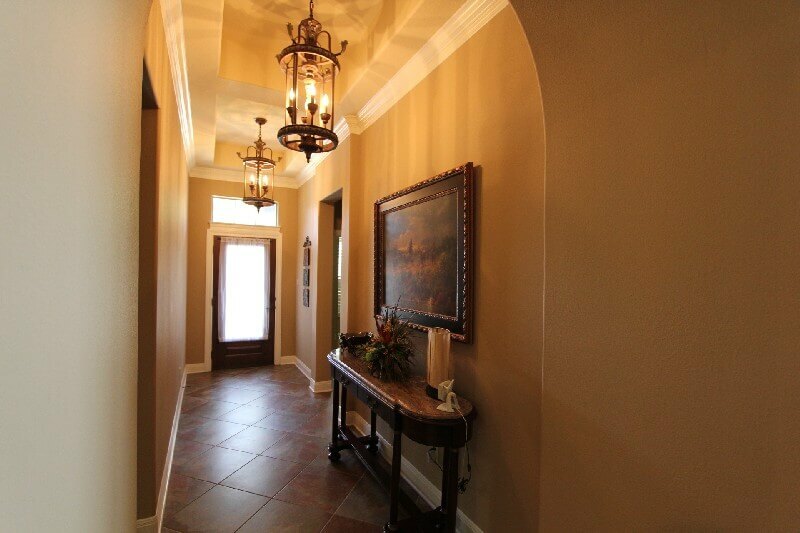 The entry features coffered ceilings with crown mouldings and upgraded light fixtures. 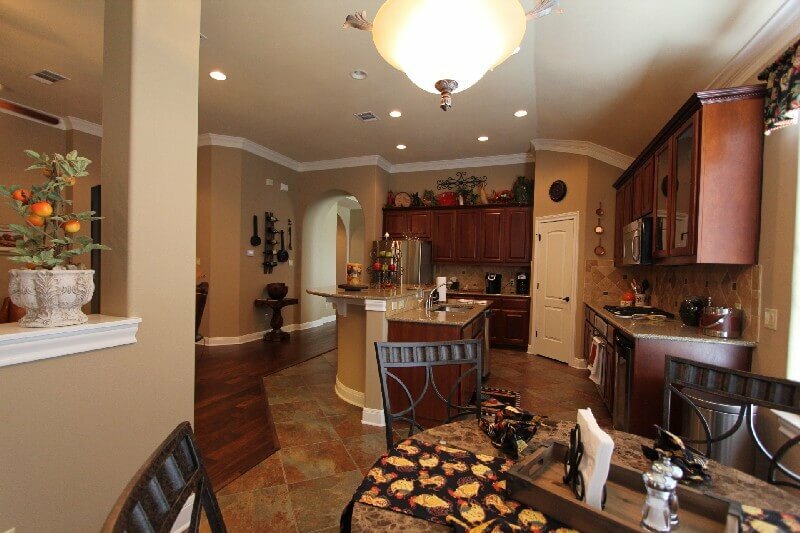 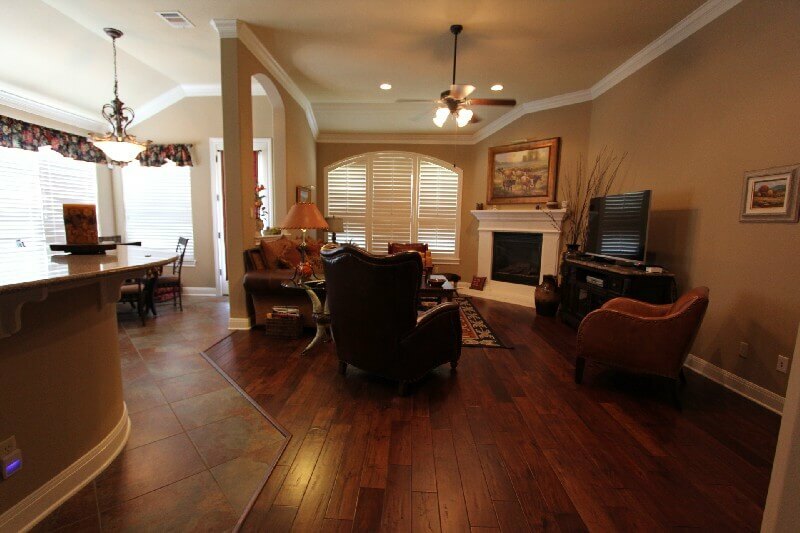 As you walk down the entry hall, you will find two bedrooms and a full bathroom on your left. 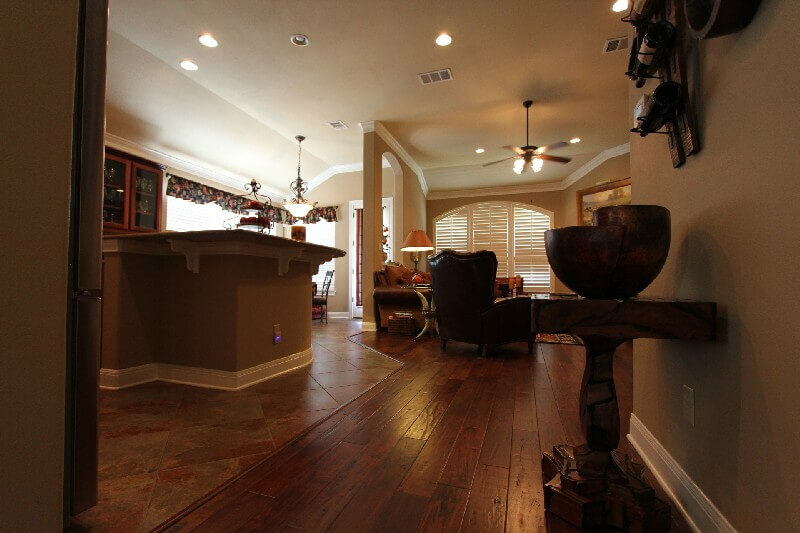 As you continue beyond the entry, you will find that the coffered ceilings continue, and the tiled flooring turns into elegant hardwoods below your feet. 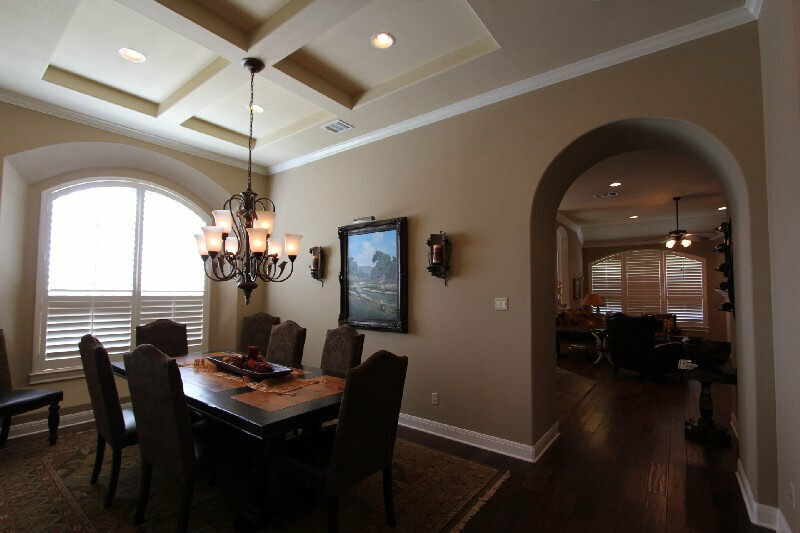 Prior to entering the spacious chef’s kitchen, you will be greeted by the formal dining room and a secondary living room perfect for an evening glass of wine or for your morning coffee. 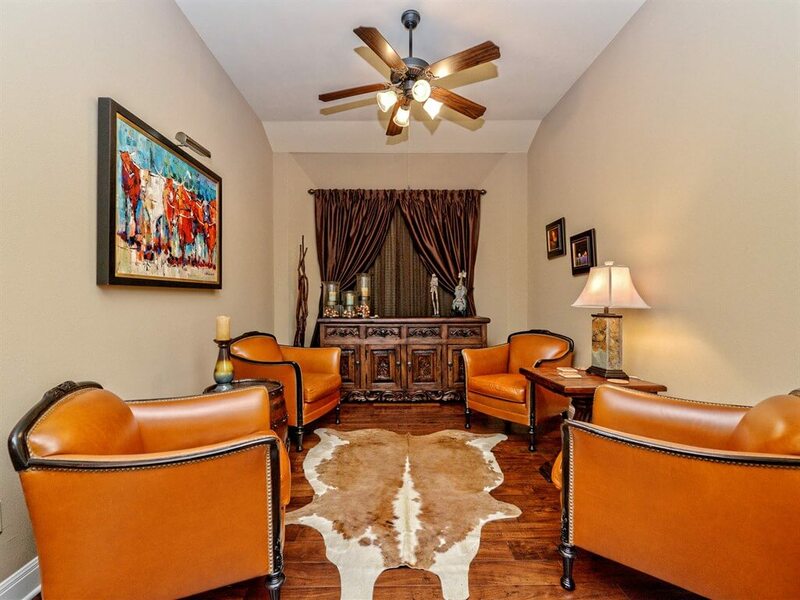 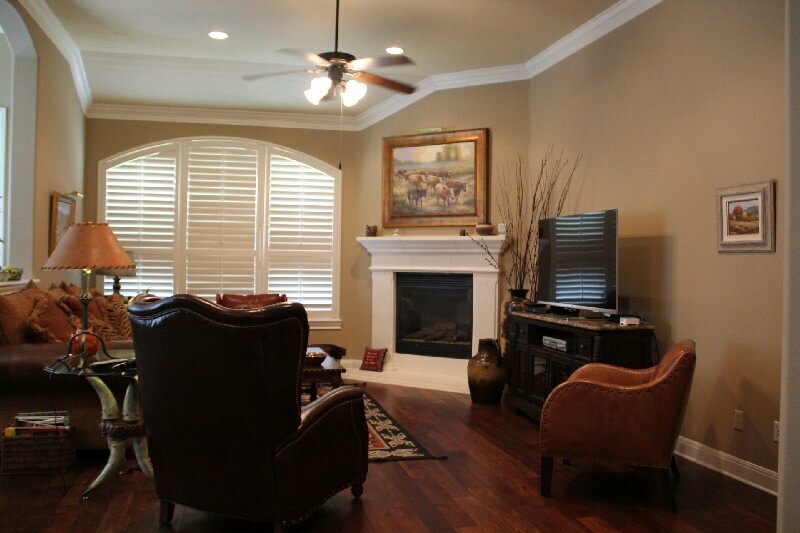 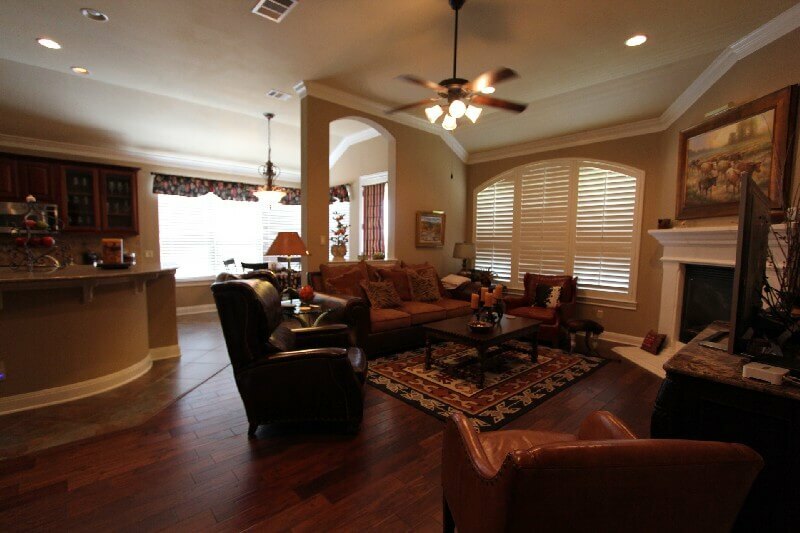 As you continue into the home, you will find the spacious living room, and the master suite to your right. 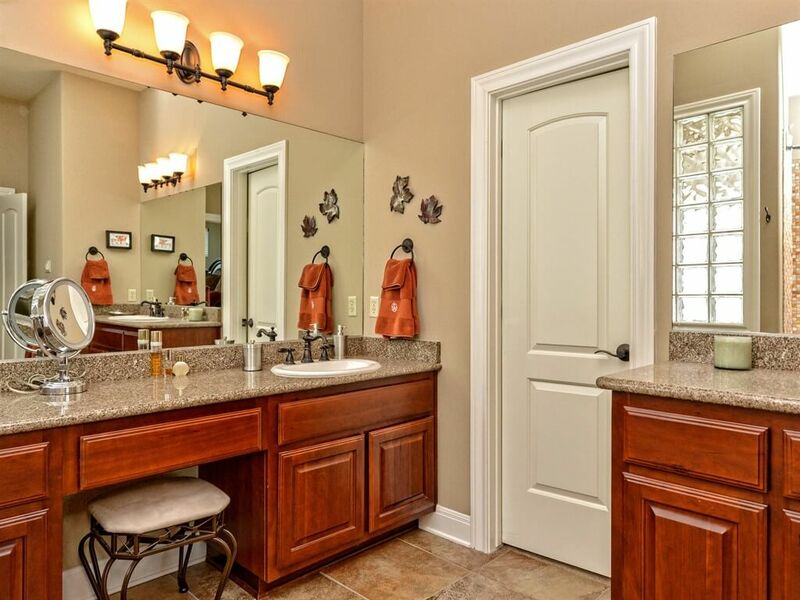 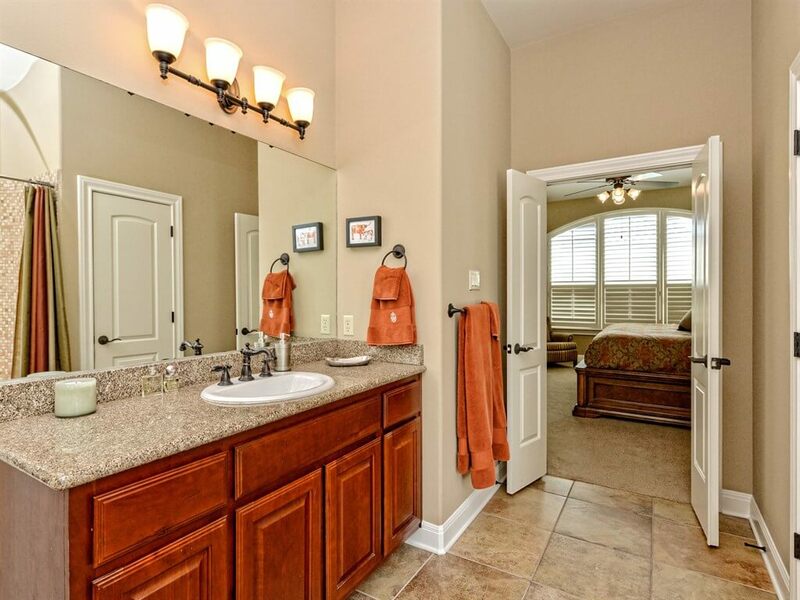 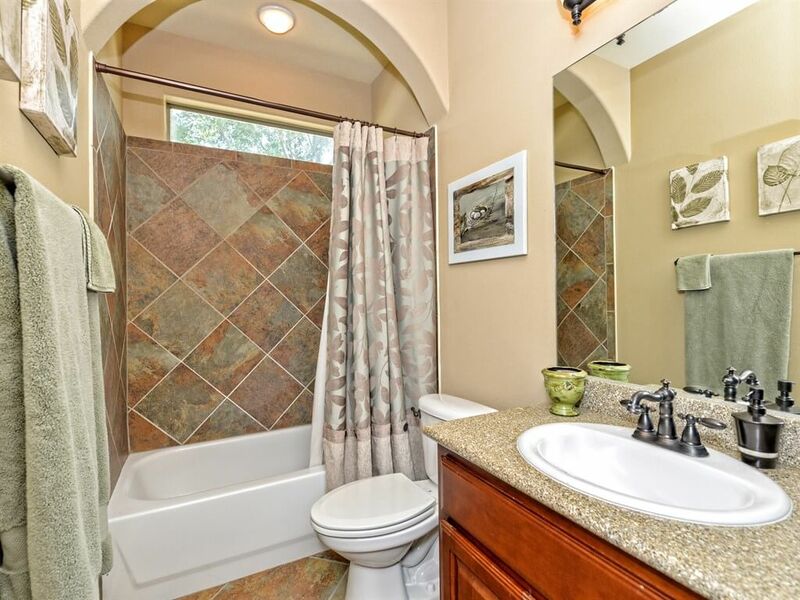 Upgraded Master Bath Features Walk-in Shower! 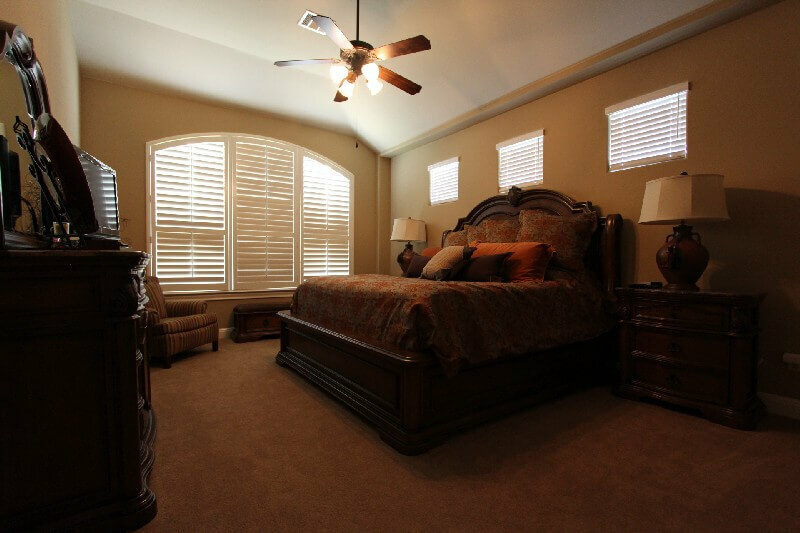 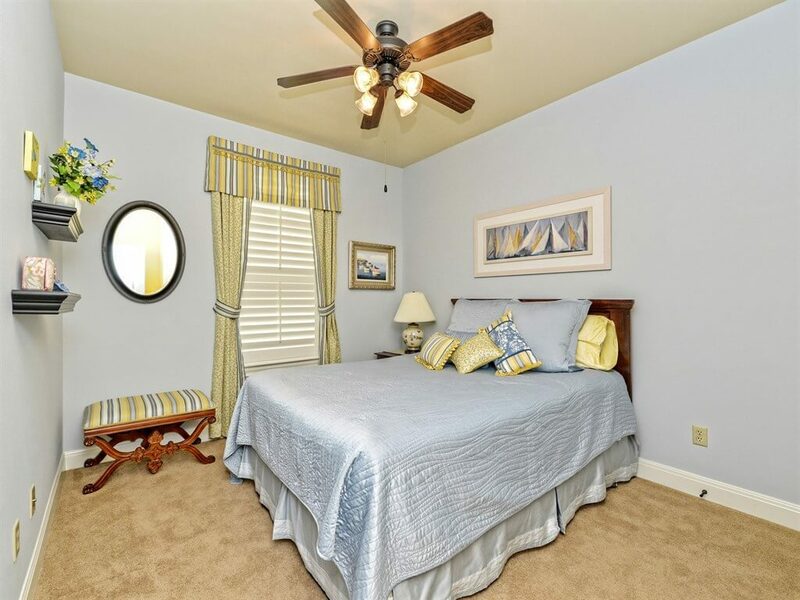 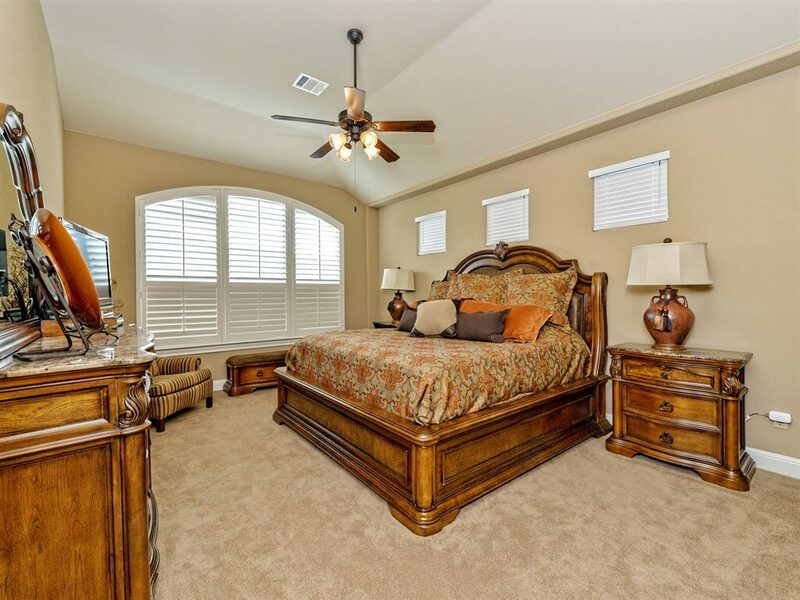 The master bedroom features vaulted ceilings, window shutters and plenty of space for king-sized bedroom furniture. 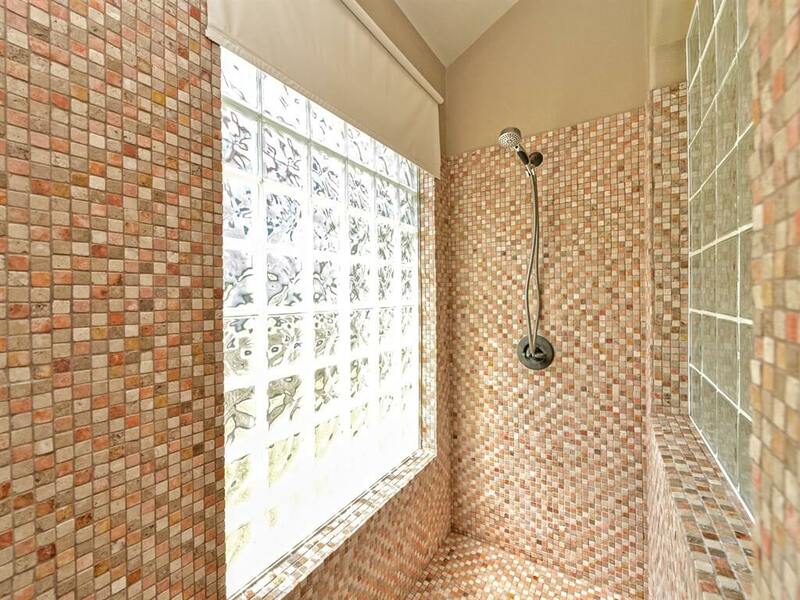 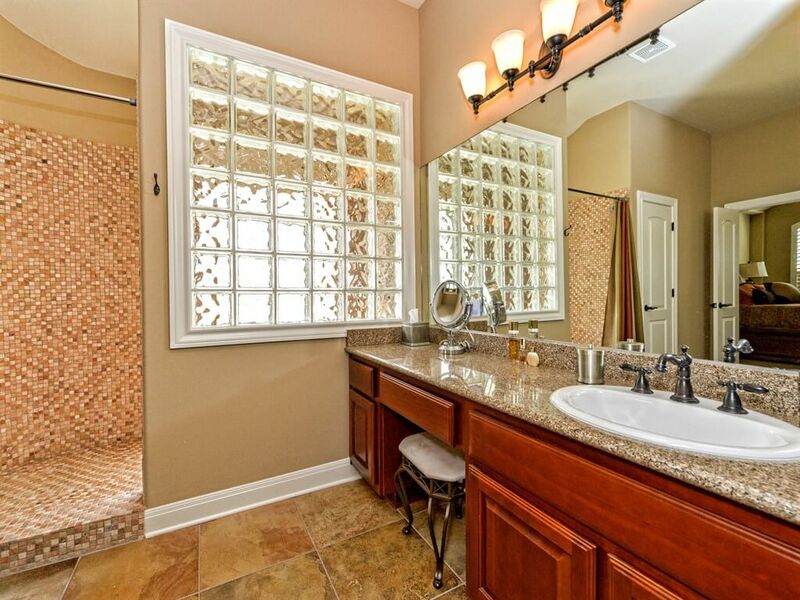 The master bathroom features double vanities and a walk-in mosaic tiled shower that simply must-be-seen! 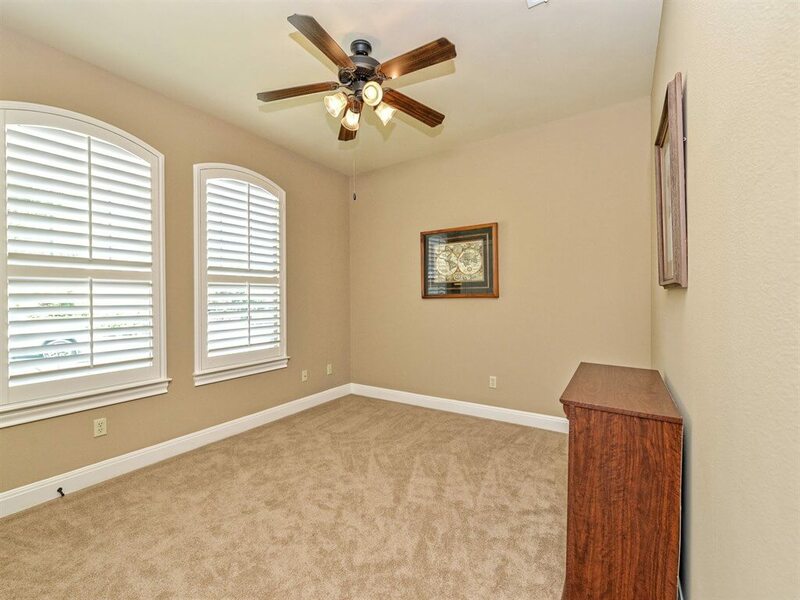 The enormous walk-in master closet is quite impressive and features tons of hanging space as well as shelving for additional storage. 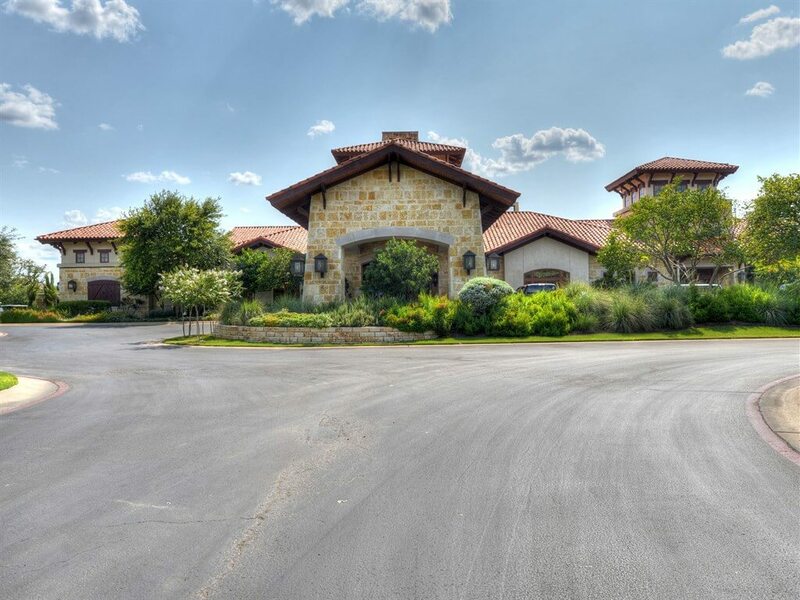 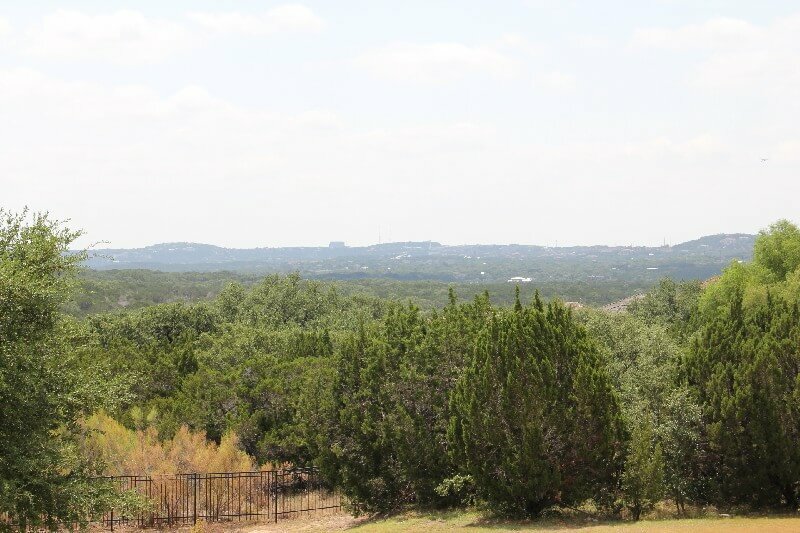 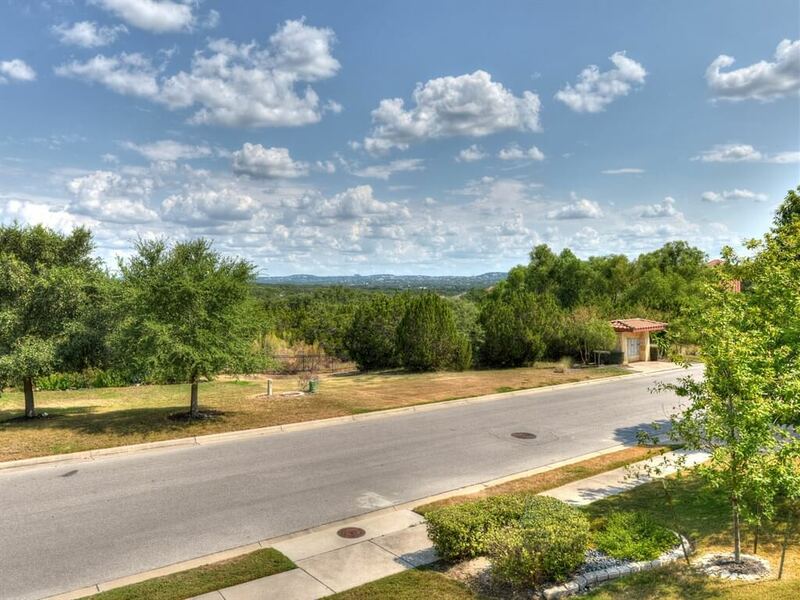 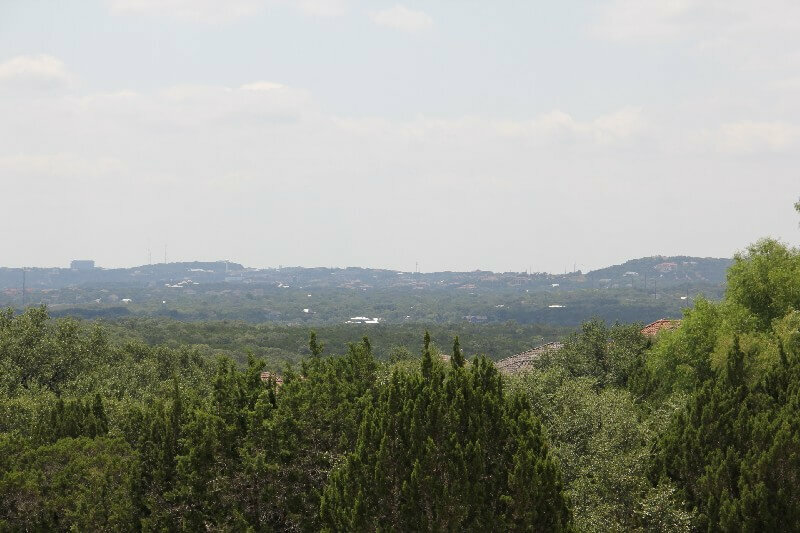 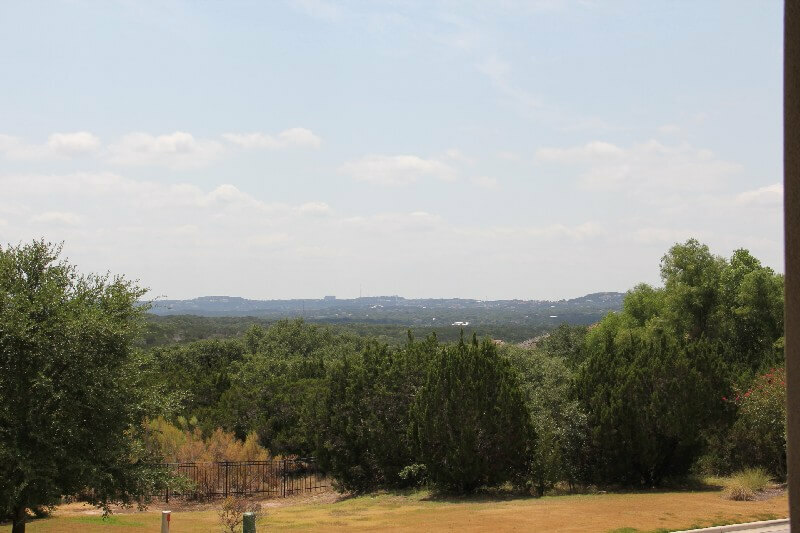 In addition, this beautiful Taylor Morrison home is located on a .21 acre corner lot with gorgeous views of the Texas hill country from inside the large windows in the breakfast room and from it’s extended covered patio. 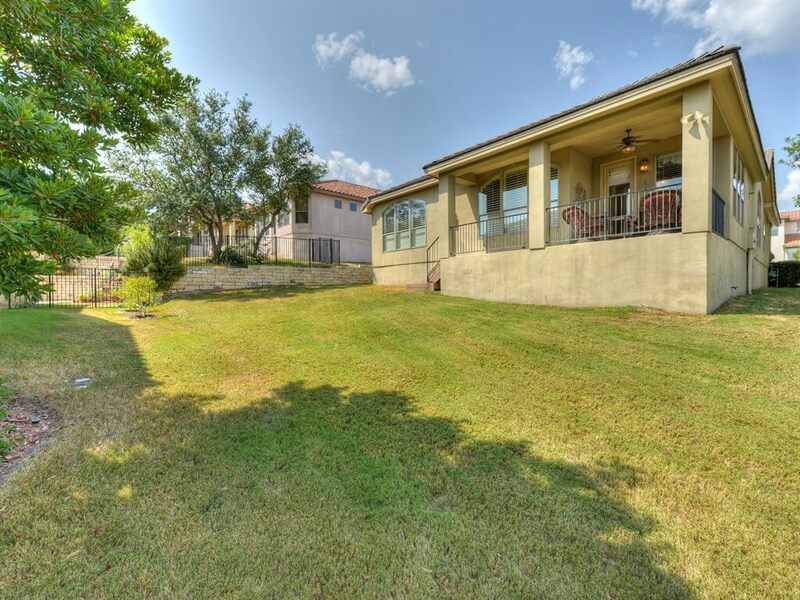 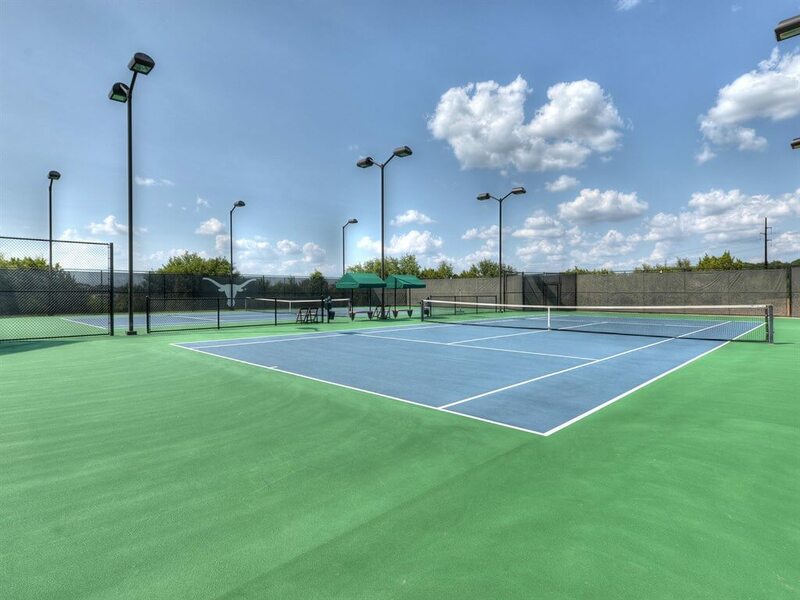 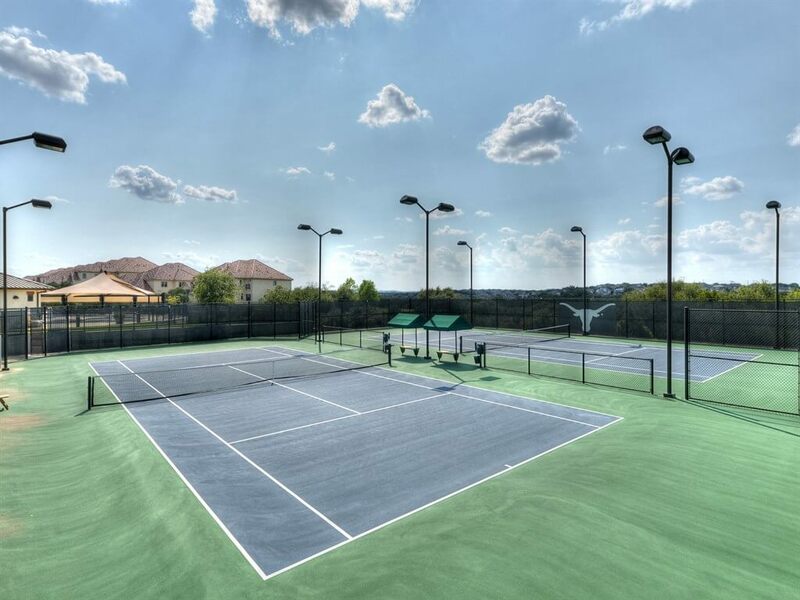 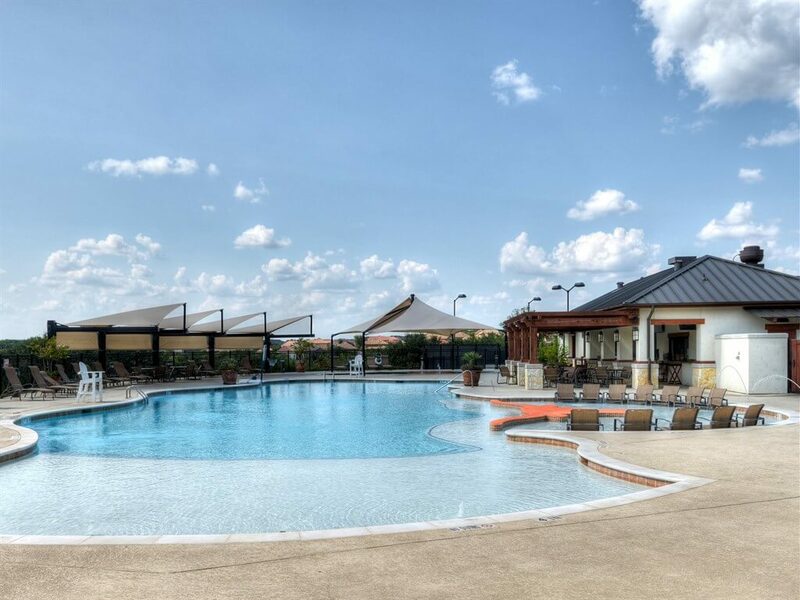 This stylish home is located just around the corner from the UT Golf Club, pools, tennis courts, entertainment pavilion, clubhouse with restaurant and bar, and much more! 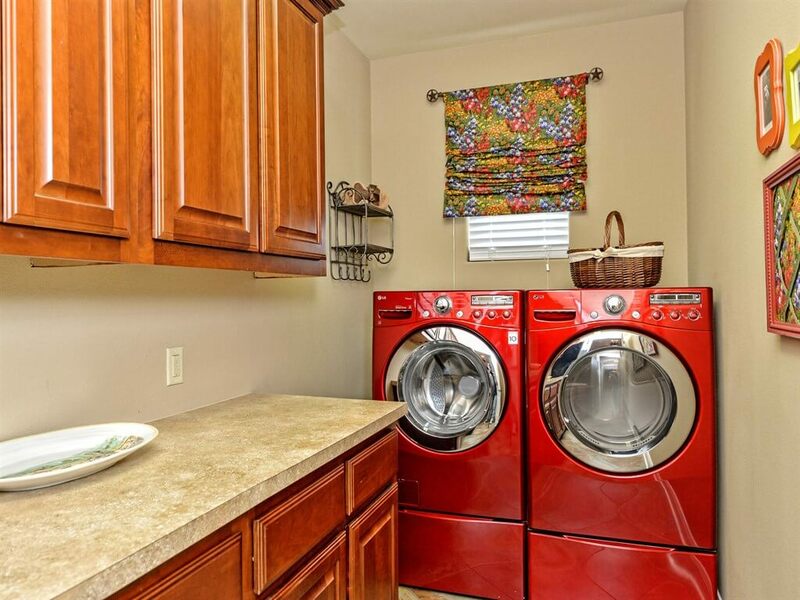 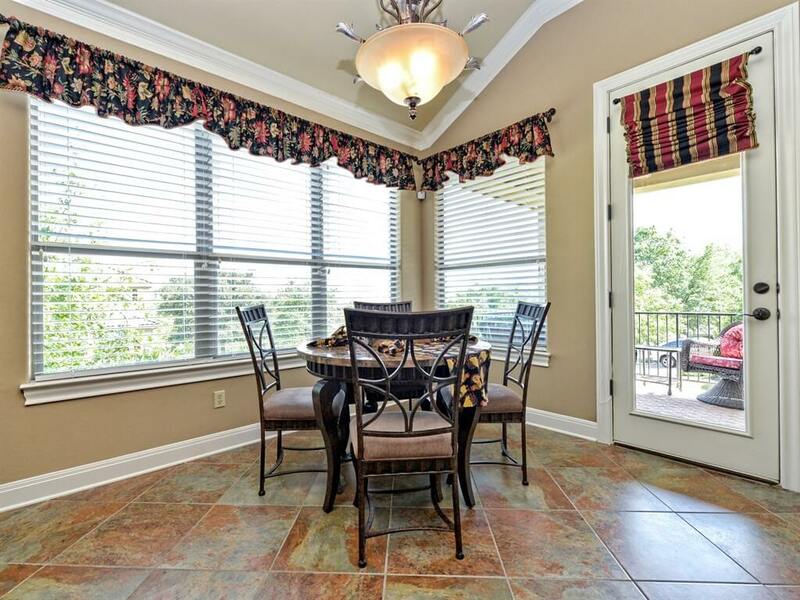 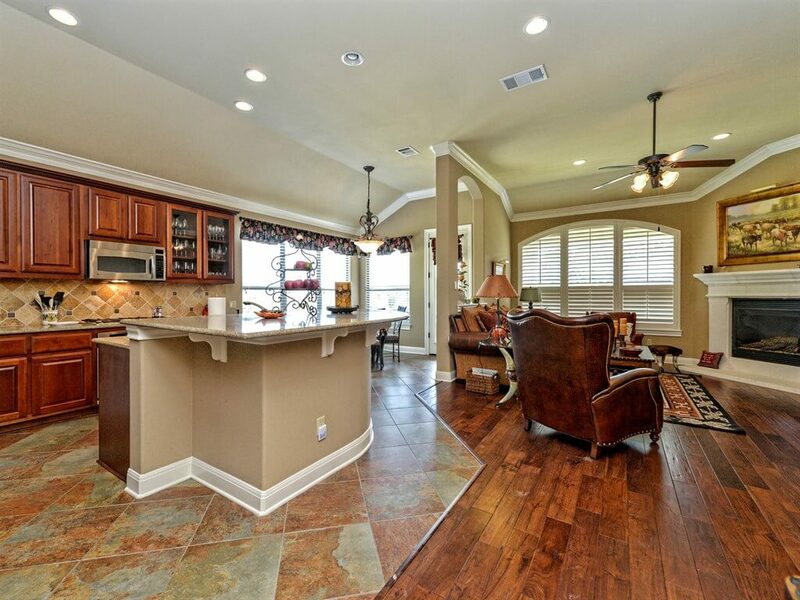 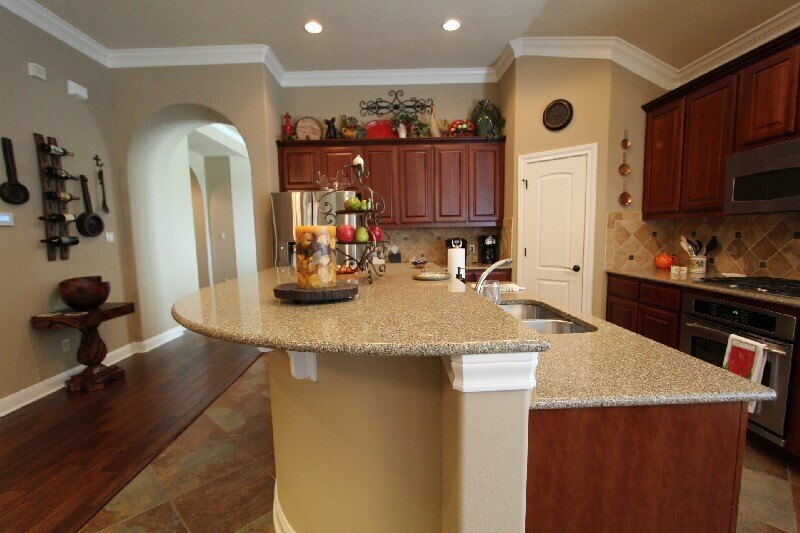 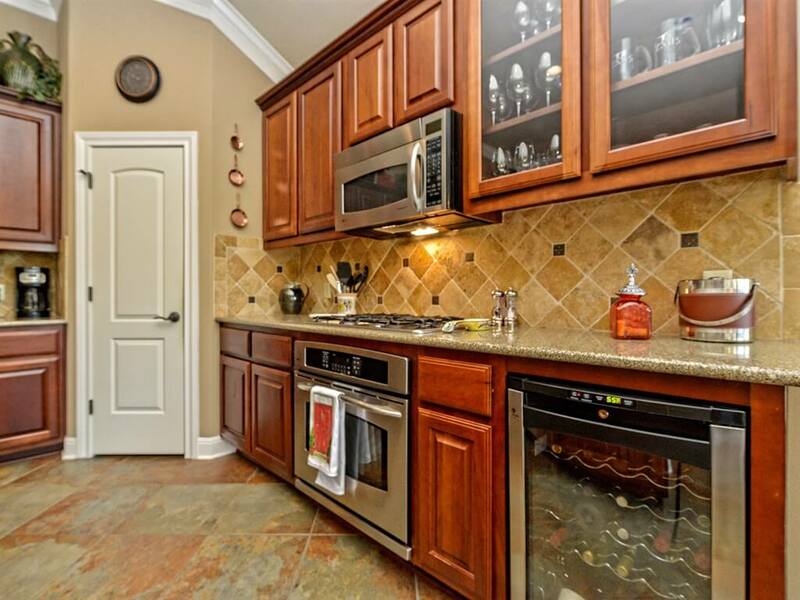 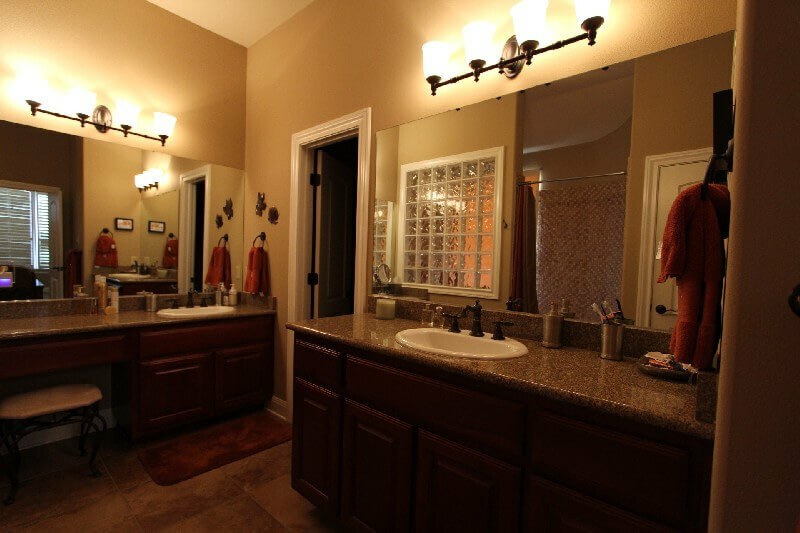 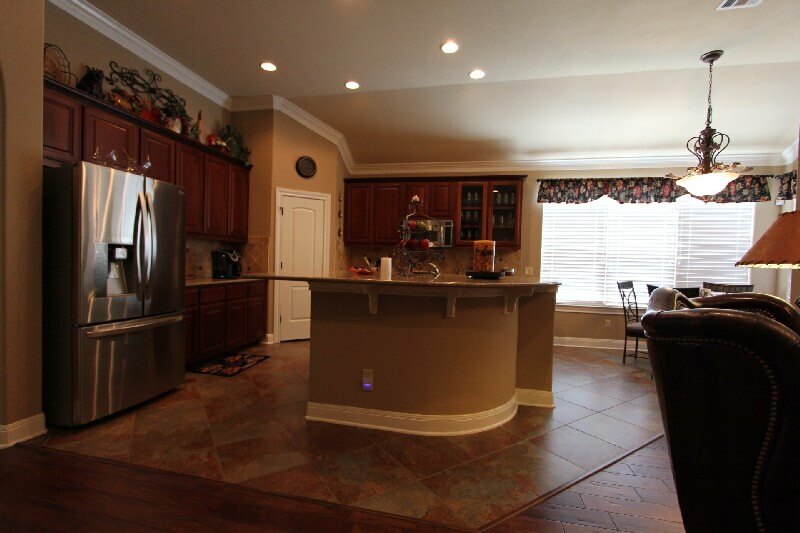 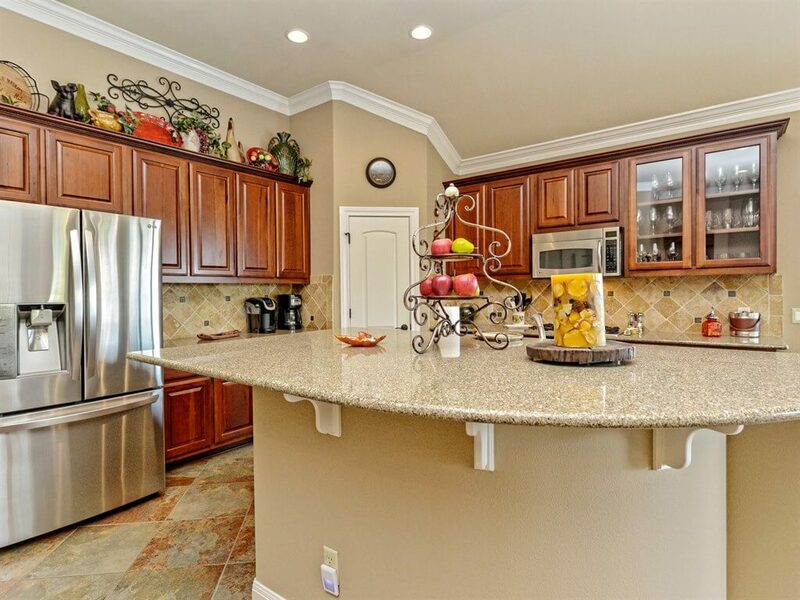 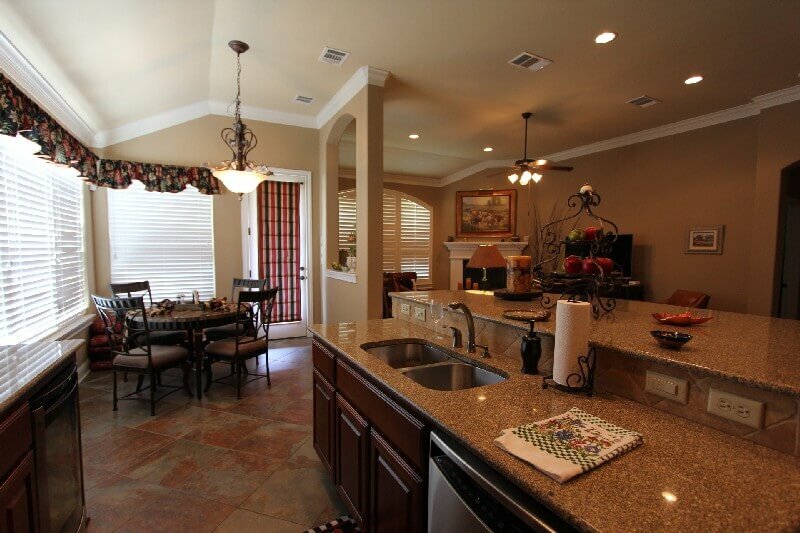 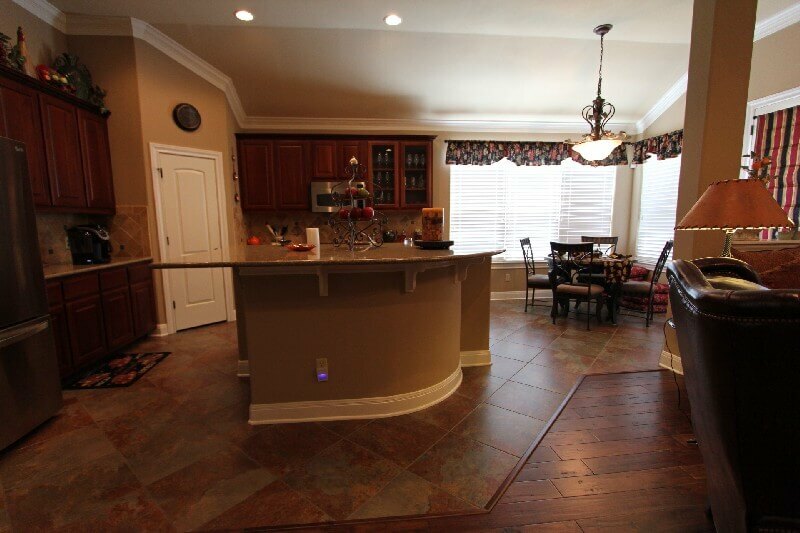 Here are a few of our pre-MLS photos to give you an additional ways to view this home. 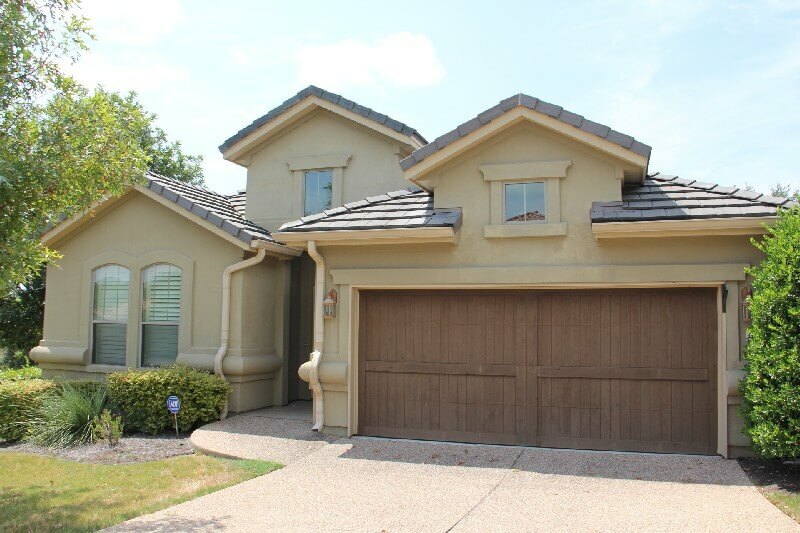 For more details about this home before it goes live in the MLS, please contact us today!